Talking about dreams come true when you don't even have enough beauty sleep? 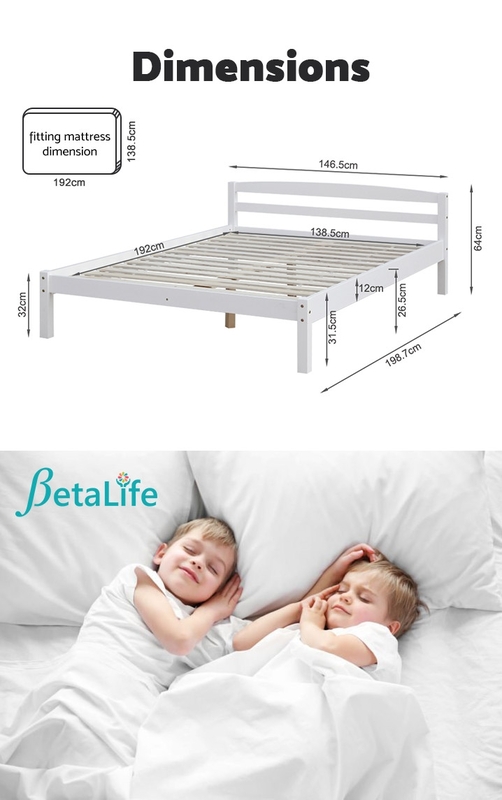 Choosing a right bed isn't just about how comfortable a mattress is but also count in the contribution of your bed base. So the question is: Are you still putting your mattress on top of old-fashioned box spring? Which would lead to various of problems such as trapped moist that eventually moulds. 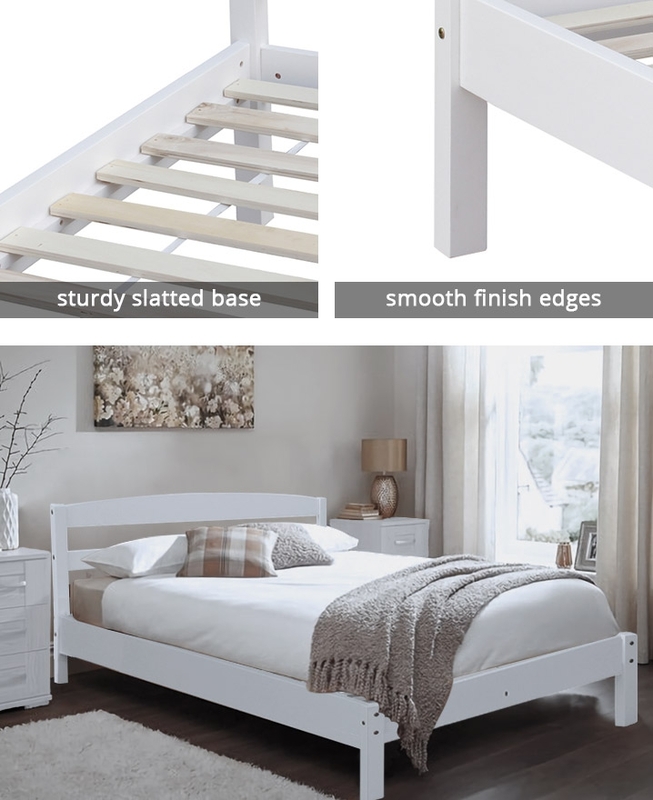 Follow the trend and try this BLANC Slatted Mission Bed - the solid slats provides great support for mattresses, it lasts longer and provide better sturdiness. 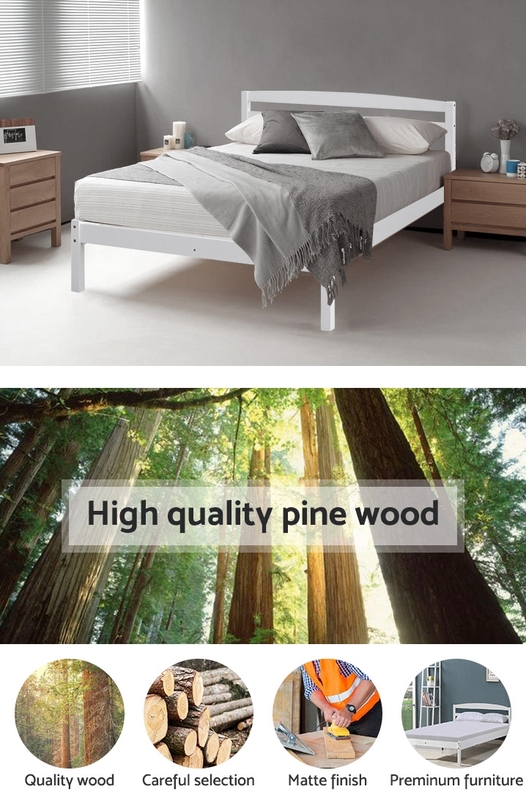 BLANC Wooden Bed features elegant contemporary mission style and is well made with solid natural New Zealand pine wood with matte finish. 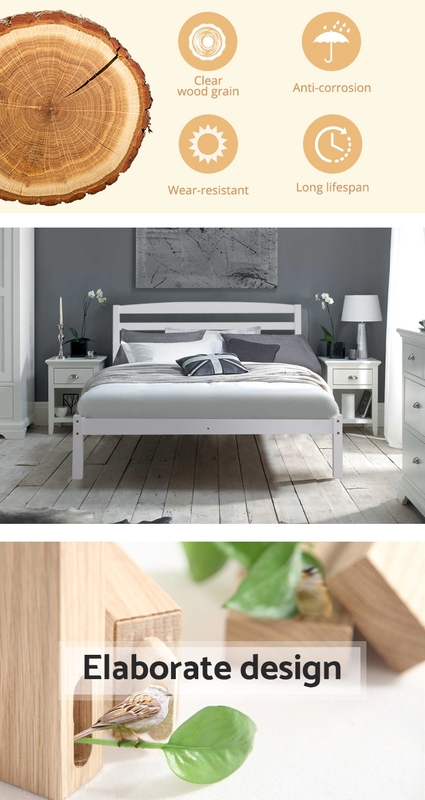 The charm of this basic mission style is the moment when you find it could effortlessly blend into your bedroom space and matches most of contemporary bedroom furniture. 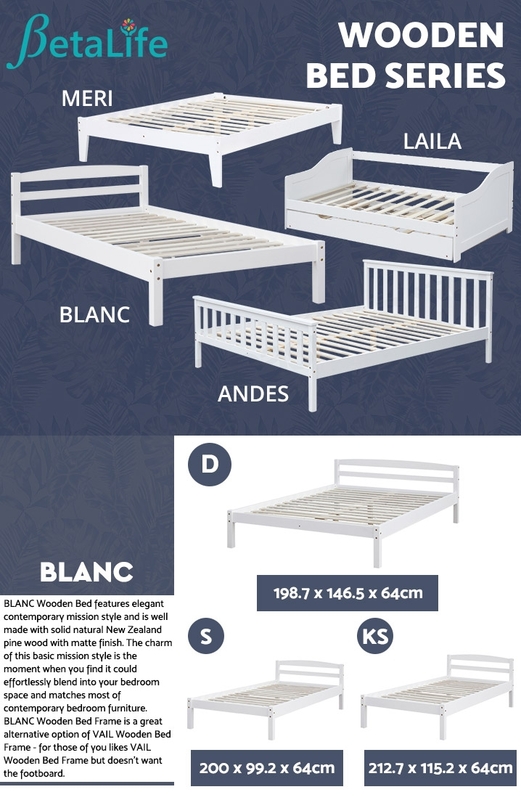 BLANC Wooden Bed Frame is a great alternative option of VAIL Wooden Bed Frame - for those of you likes VAIL Wooden Bed Frame but doesn't want the footboard.